Adoption coercion is when there is any type of pressure, withholding of information or services, or purposeful manipulation that results in her choosing to place her child for adoption. Coercion in adoption takes away a woman’s right and ability to make a decision. There are adoption coercion laws in place to protect women when placing their child for adoption, but they vary from state to state. But regardless of the laws of your state, an ethical adoption will ensure that the mother is placing the child on her own accord and without any form of coercion. You may have to do extra research to ensure you are working with an adoption professional who will act not only legally, but ethically as well. Now you are probably wondering what classifies as coercion. Maybe you are even feeling slightly panicked, wondering if anything was done in your adoption to make your child’s birth mother feel like she didn’t have a choice in her placement. Rest assured that everyone makes plenty of unintentional errors; rather than pointing fingers, the purpose of this article is to educate those pursuing adoption and shape the industry to a better standard moving forward. As adoptive parents we need to recognize the signs of coercion and stand up for expectant parents who are considering adoption placement. To read more about adoption coercion and how to avoid participating in adoption coercion, read the rest of the article at adoption.com. I Want to Adopt. Now What? Are you hoping to grow your family through adoption? 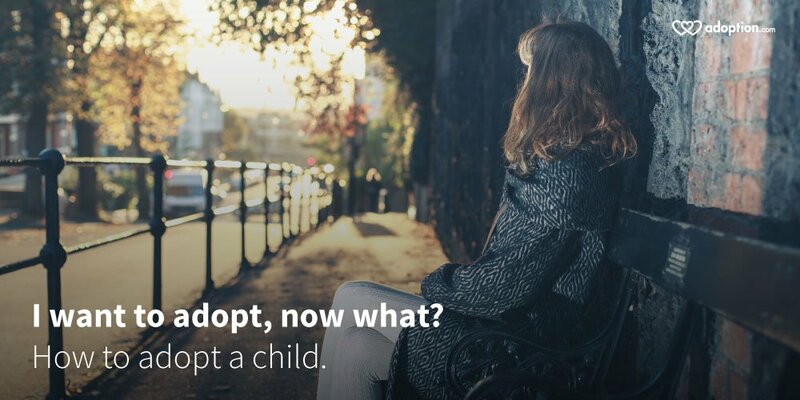 You have decided to adopt, but now what? Where does a person start? It can be overwhelming, but very exciting! There are many different avenues for adoption, the three main categories being private domestic adoption; international adoption; and public/foster adoption. Determining which of these routes is best suited for you and your family is the first place to start. Once you have determined the type of adoption you wish to pursue, there are a few tips that will help you get things moving. Follow through to adoption.com to read more about each category and other areas you will want to consider while you select the right type of adoption for your family. Published 5/11/15 on adoption.com Choosing to place your child for adoption is an enormous decision that you surely won’t take lightly. Are you considering making an adoption plan? If you are, these ten tips will help you select the right adoption agency for you. Having a good agency to work with will help your journey go a lot smoother. Emotional support as well as help along the way and in the future is a vital part of the process. Are you considering making an adoption plan? Read this list of things to ask an adoption agency before committing to them. Follow the link to adoption.com for more information. Learning about adoption was overwhelming for me. You are not alone in feeling that way! We contacted at least half a dozen agencies and read countless articles online trying to figure out where to start and what to expect. We were not only in distress about how long we had been trying for a baby, but then we learned that we could have anywhere from three months to several years on the waiting list for an adopted baby too. Then factor in the enormous price tag associated with agency adoption and we were dazed. As we began to verbalize we were considering adoption to others; we got all kinds of input. Some of it was amazing and helpful. Others only shared horror stories of adoptions gone wrong or questions of why we weren’t doing IVF like their friend, sister, cousin, neighbor did. We had to take some time and process this. Was it really what we wanted? Fast forward several months of just setting all the agencies paperwork aside and living life… we hopped back on the train to adoption and settled down and found the right agency for us. But how do you pick the right agency for you? The agency we picked was a small agency located in Ohio that only dealt with Ohio birth mothers and Ohio adoptive families. Their cost was much lower than the national agencies and they had high placement rates with a wait time that averaged 18 months. They were very upfront about their outlooks and what we could expect. They made us feel like we COULD do this and we WOULD be parents again. One of the top questions I get asked by people considering adoption is: “what agency did you use?” People like to know that they can trust the agency with the task of giving them the family they have dreamed of. So that’s the first place to start. If you know anyone who has adopted, ask them what agency they used. Ask them if they liked the experience. Ask them if there was anything they wish they would have known going in. Some agencies are very commutative with their families while others don’t relay every bite of information as it comes in. You need to decide what you are looking for. What services do they provide expectant mothers? Do they offer ongoing support to all members of the adoption triad? Do they discriminate against single, transracial or homosexual families? How long is their average wait? How many families do they work with at any given time? How many placements do they do a year? What is their fee structure? When are the fees due? How do they handle expecting mother living expenses? Do they have “waiting” support groups or resources for you? How do they advertise? Check their website for how they talk to expecting women considering adoption. Are they guiding her in her decision or supporting her no matter what her decision? Do they support open adoption? How well do they communicate if you email or call with questions? Go with your gut and don’t sign anything too quickly. How do they handle birth fathers? Do they see them as an obstacle or include them in the process? You are looking for a few things by asking these questions. You need to know how they operate and what will be expected from you so there are no surprises, but you also will be able to learn if they are ethical in their practices. You may be thinking something like, “well I am not gay, so that doesn’t apply to me.” Or “I was planning to adopt an African American child anyhow, so that’s great that the fees are reduced.” But these things do nothing to promote ethical adoption or getting children to their forever families. All this information can be overwhelming. Hopefully you have found some recommendations from friends or support groups that can help you narrow down your search to a few agencies. Once you start collecting information, you may want to start some file folders to keep each agency separate and you can then go through your own personal checklist of things you like and dislike about each agency. Ultimately, go with your gut. If something feels off, don’t ignore that. Remember they have marketing to keep them afloat and in the business of facilitating adoptions. You have to see through their glitter and make sure they are ethical for everyone involved. Today, I have two amazing sons. Isaac is 11 and Ezra is 4 months. The only difference, other than their age, is one is biological and one is adopted. I recently heard someone say they have four children; two are adopted, but they forget which two. I can relate to that. Ezra is indeed MINE. I see him no different than the child I gave birth to 11 years ago. After so many years of trying for a second child, I see him like a little miracle, but I don’t look at him and think he’s any less my child because I didn’t conceive and carry him. Our adoption journey started 5+ years ago. Before we even began trying for a second child, we talked about adoption as an option since I had a very difficult pregnancy and dangerous delivery with Isaac. We decided to start trying to conceive anyhow. Each month I excitedly waited to see if I would be pregnant. The pharmacy must have loved seeing me coming to buy out their department of pregnancy tests and ovulation trackers on a regular basis. After a few years of trying we had doctors run tests and found out we were both near infertile and it would be a slim chance for us to ever conceive. Even IVF was ruled out. We turned back to adoption. 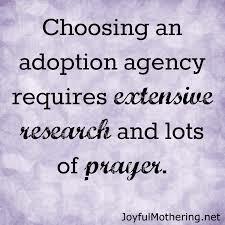 After much research on adoption agencies, cost, waiting time, infant verses child, etc. we were overwhelmed and put it on the back burner, but it never left our mind… so we started saving and bought a larger home so we would find motivation to expand our family. Eventually growing our family became an obsession and seeing pregnant women and babies caused us depression. We knew adoption was what we needed for our family to grow. We took the plunge in early 2012 and signed up with an Ohio agency out of Yellow Springs.